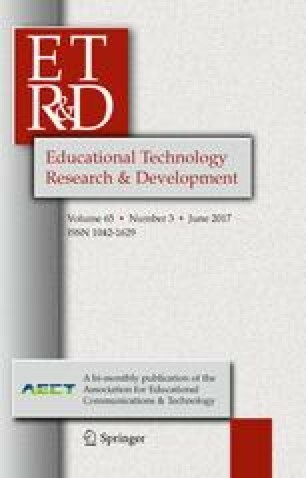 This study examines the major factors that may hinder or enable the adoption of e-learning systems by university students in developing (Qatar) as well as developed (USA) countries. To this end, we used extended Unified Theory of Acceptance and Use of Technology 2 (UTAUT2) with Trust as an external variable. By means of an online survey, data were collected from 833 university students from a university in Qatar and another from USA. Structural equation modelling was employed as the main method of analysis in this study. The results show that performance expectancy, hedonic motivation, habit and trust are significant predictors of behavioural intention (BI) in both samples. However, contrary to our expectation, the relationship between price value and BI is insignificant. Our results also show that effort expectancy and social influence lead to an increase in students’ adoption of e-learning systems in developing countries but not in developed countries. Moreover, facilitating conditions increase e-learning adoption in developed countries which is not the case in developing countries. Overall, the proposed model achieves an acceptable fit and explains its variance for 68% of the Qatari sample and 63% of the USA sample. These results and their implications to both theory and practice are described. An erratum to this article is available at http://dx.doi.org/10.1007/s11423-017-9526-1. Ambient Insights (2016). The 2015–2020 Worldwide Self-paced eLearning Market: Premium edition. http://www.ambientinsight.com/Reports/eLearning.aspx on February 10, 2016. Blackboard Inc. (2012). Blackboard analytics and technology adoption. Retrieved from http://uki.blackboard.com/about-us/index.aspx. Docebo (2016). E-Learning Market Trends & Forecast 2014–2016 Report 3. Retrieved February 10, 2016, from https://www.docebo.com/landing/contactform/elearning-market-trends-and-forecast-2014-2016-docebo-report.pdf.